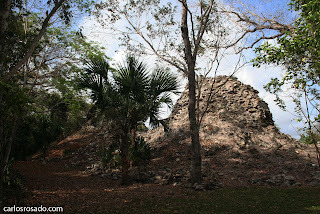 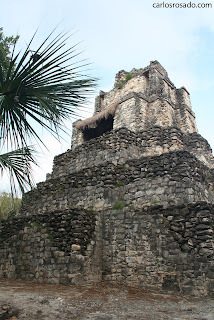 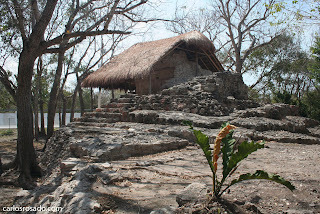 After spending a few hours at the Archaeological site of Xel-Ha I made my way south to the ancient city of Muyil. 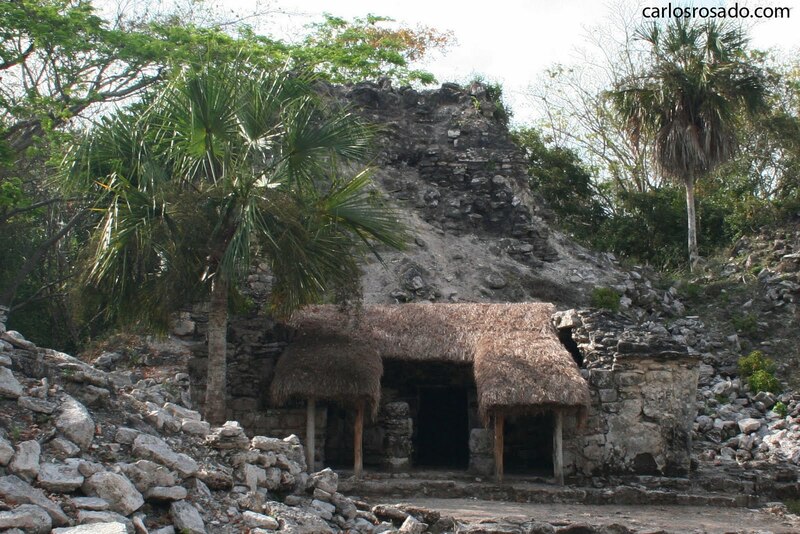 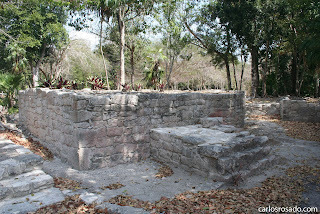 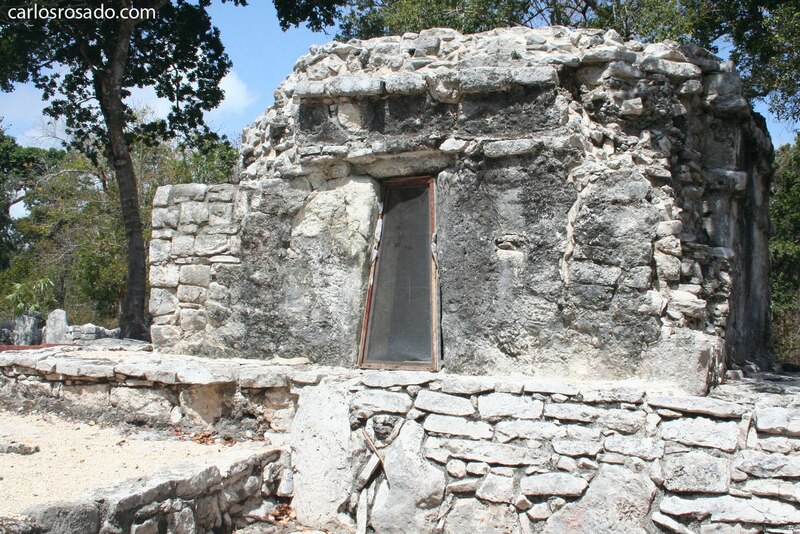 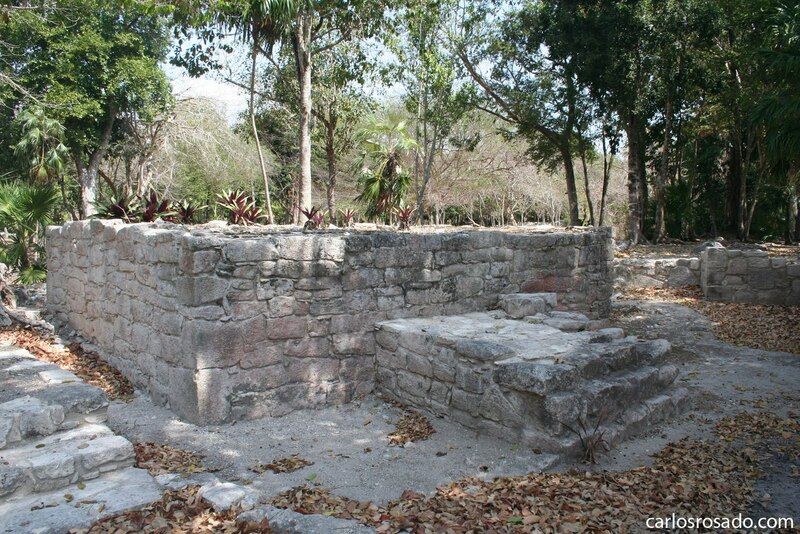 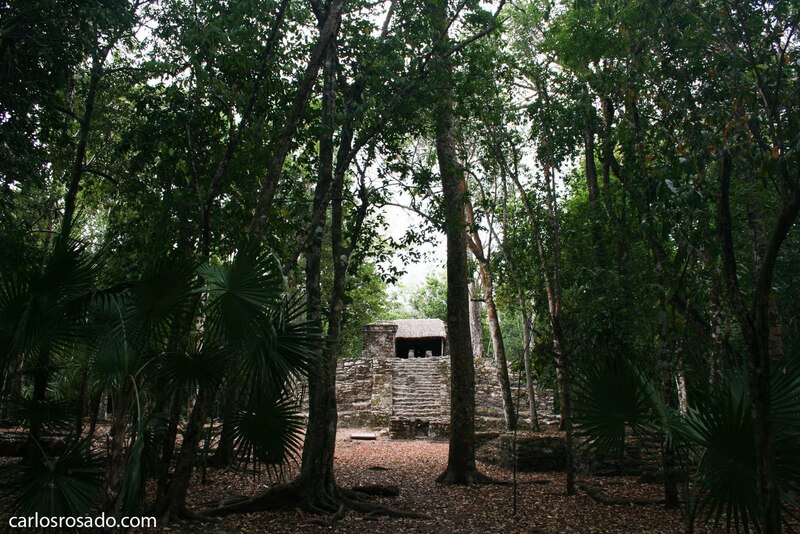 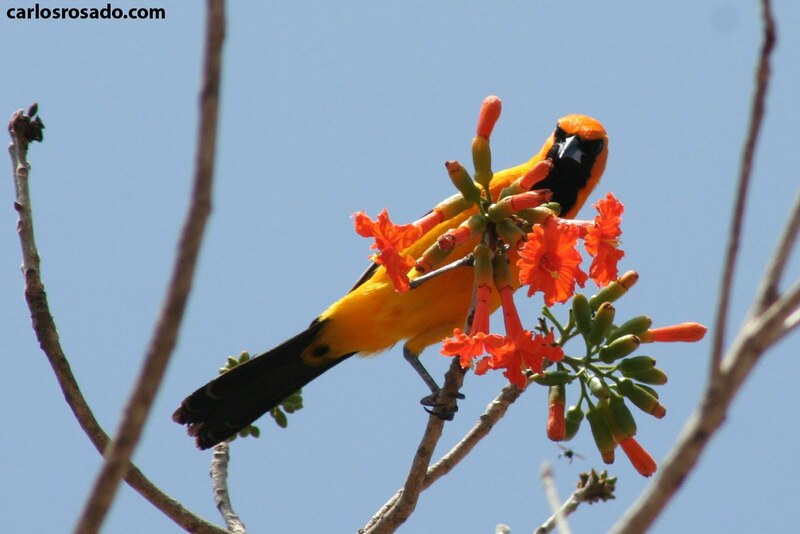 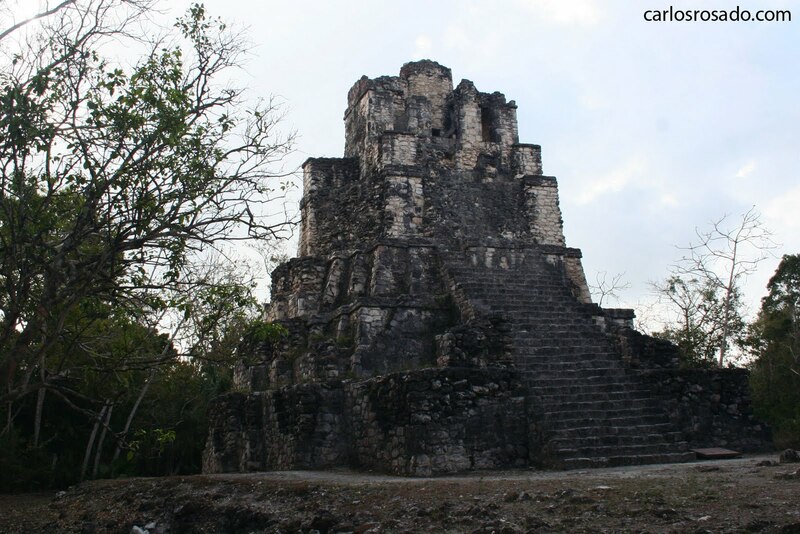 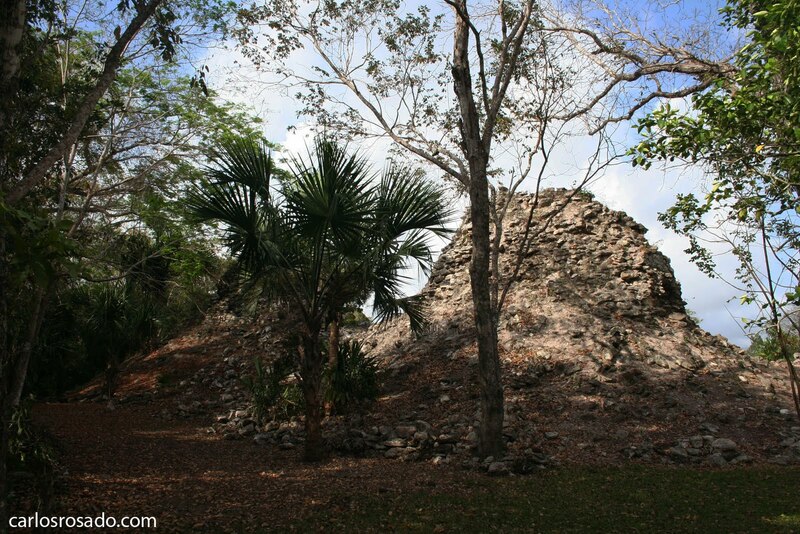 The site is located about 25 km south of Playa del Carmen on the road to Felipe Carillo puerto. 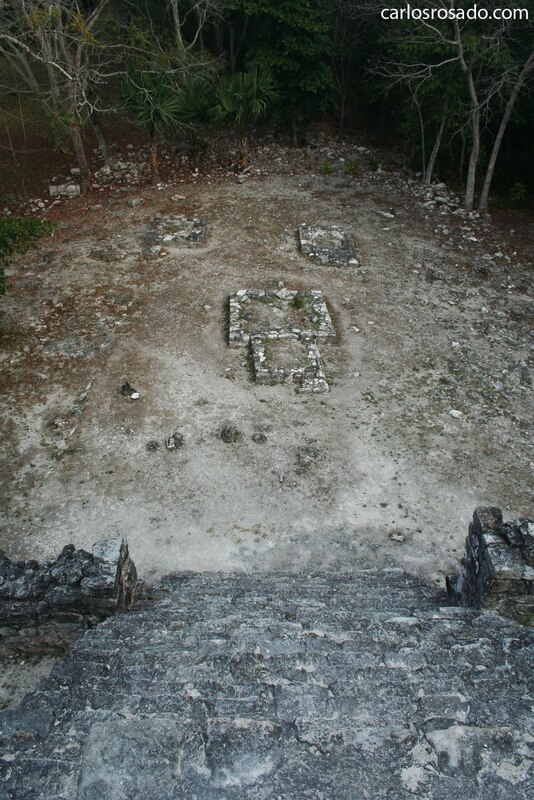 The signage up to the site is not great but it is very easy to take a van or "colectivo" to the site from Tulum. 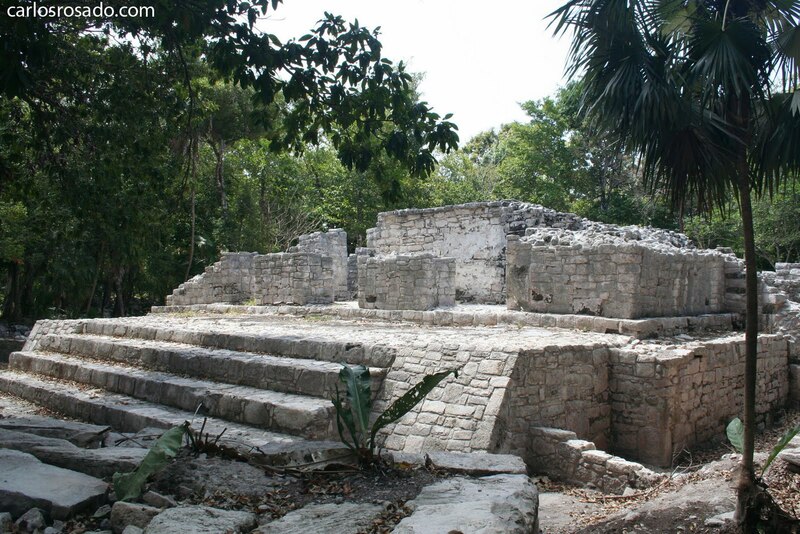 The city is fairly large and possess some fairly large structures, especially for coastal Quintana Roo. 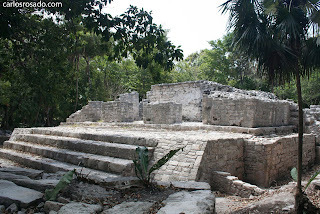 The city is divided in to two sections which are refered to as Muyil A, and Muyil B. Muyil A houses aproximately 40 structures and is the only one of the two areas to be open to the public. 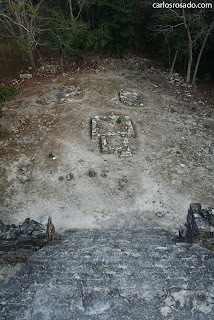 It is beleived that Muyil mas first occupied in the third century B.C. 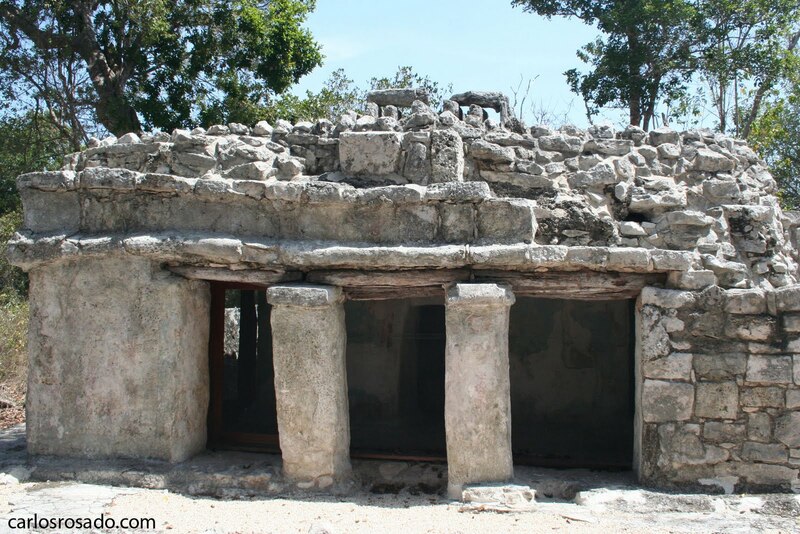 and Archaeological evidence seems to suggest that due to its location on the then remote eastern coast of the Yucatan peninsula it was ocupied untill the XVI century. If you google Xel-Ha you will probably find several hundred results for the extremely over pirced "eco park" Disney land experience that is located just south of Playa del Carmen. 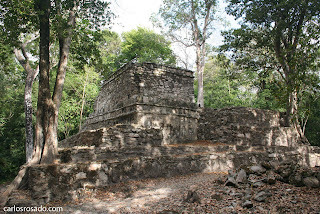 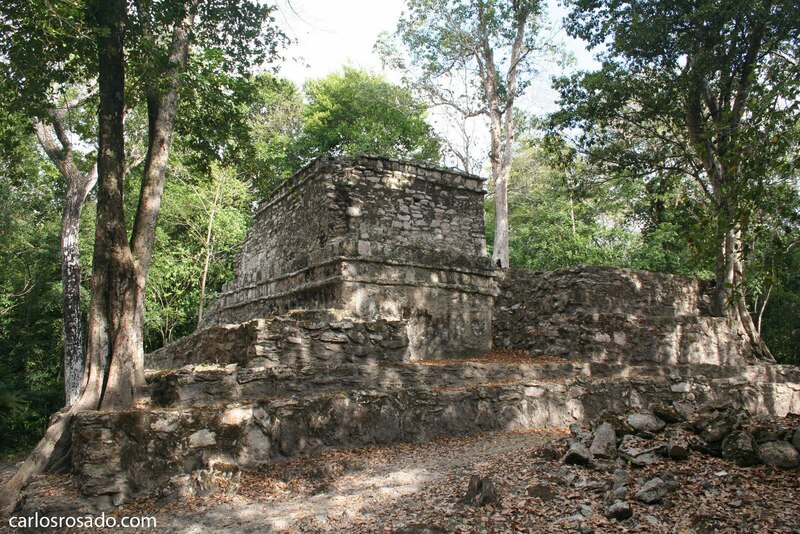 There is however just a few kilometres south of the park and on the other side of the highway a post-classic Maya ruin which goes by the same name. 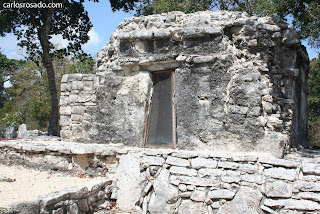 The city of Xel-ha located along the coastline of the modern Mexican state of Quintana Roo flourished in the post-classic and was known for amongst other things as an exporter of quality coloured dies and very fine crushed shells which where used in the fabrication of some tipes of stucco. 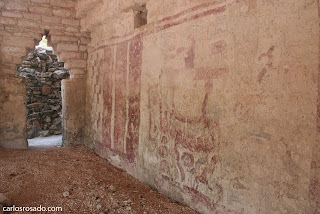 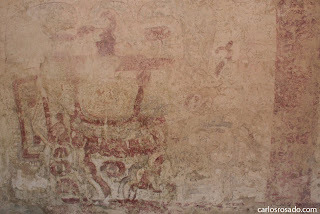 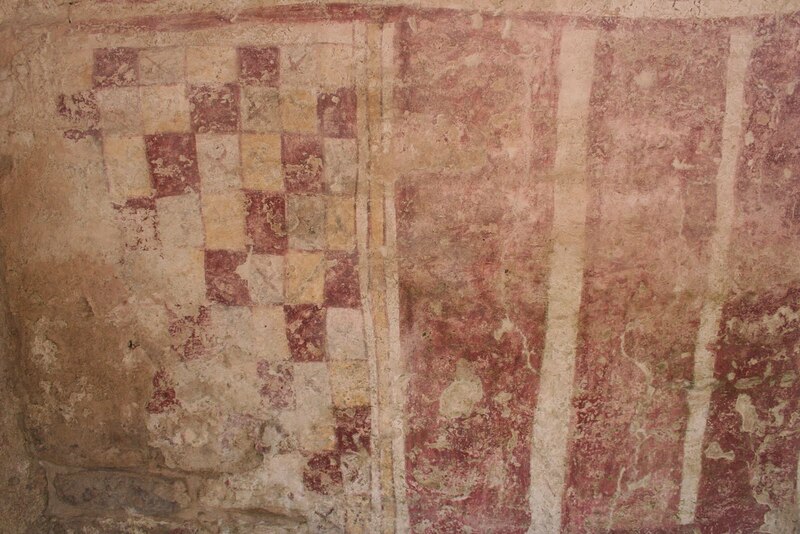 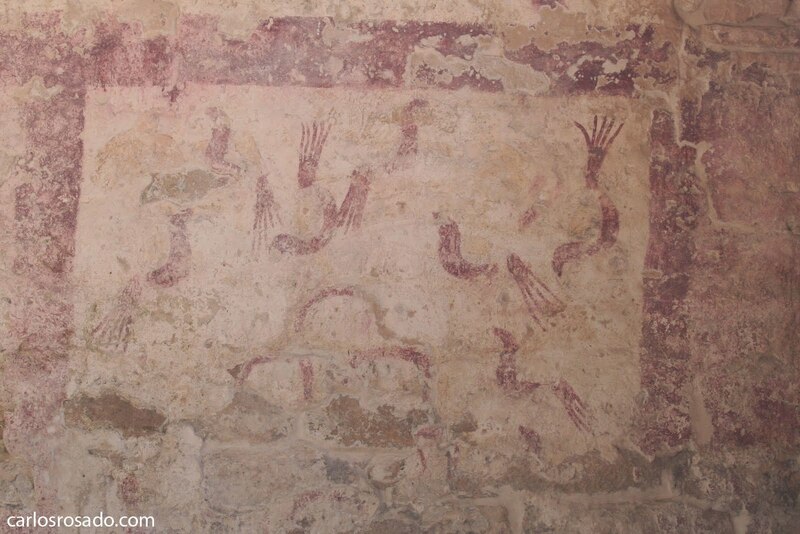 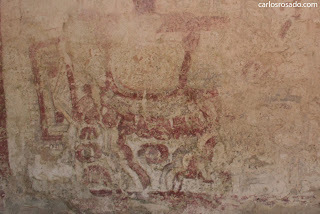 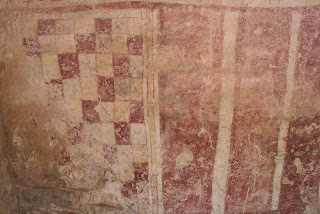 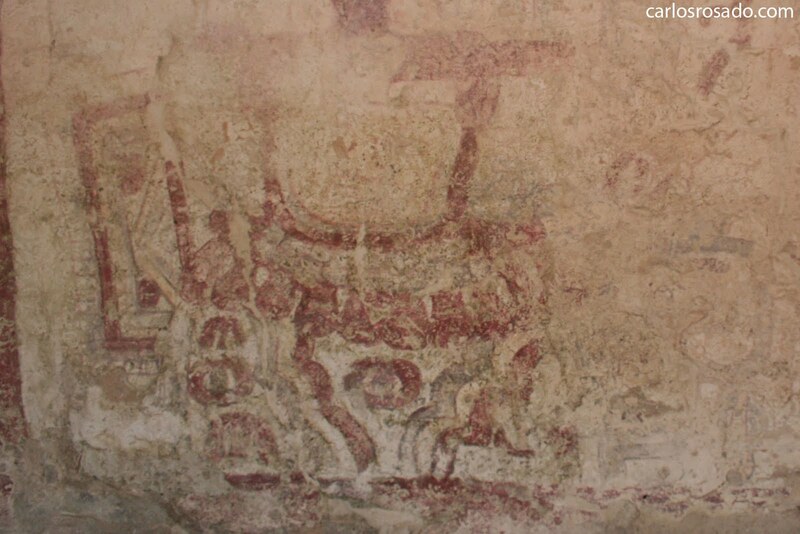 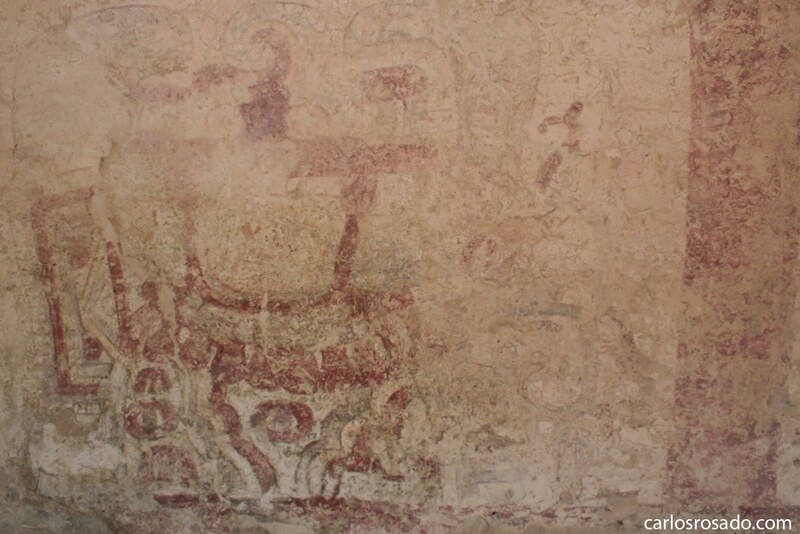 It is then not surprising that in Xel-ha we find several structures with stucco remains and examples (although fairly eroded) of mural art. 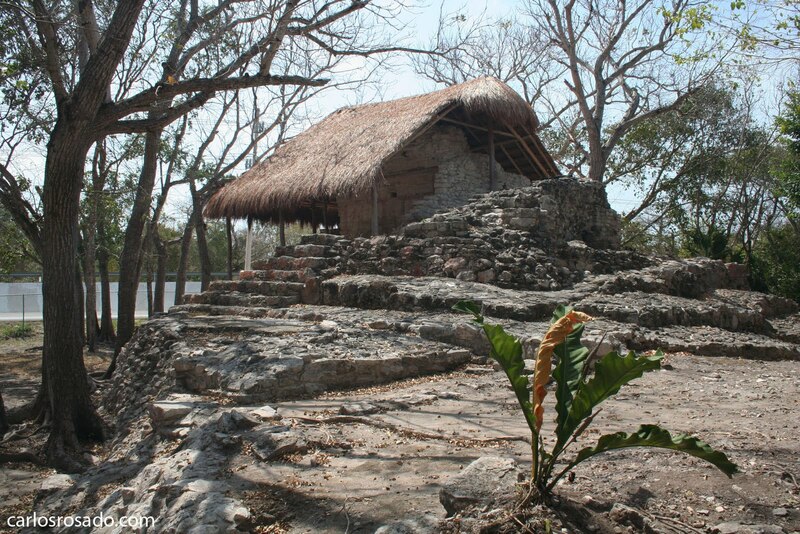 The structures in the site are of mostly moderate to small sizes which is of-course consistent with Mayan Costal Architecture... however the site has much to offer. 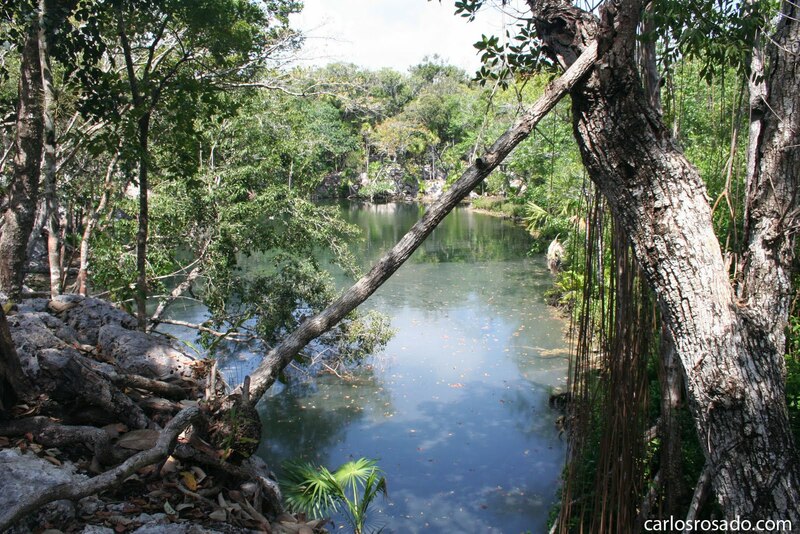 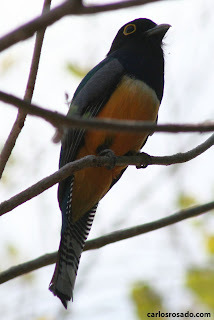 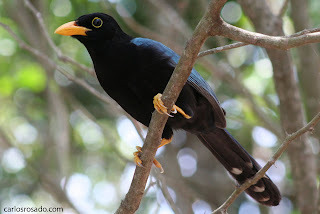 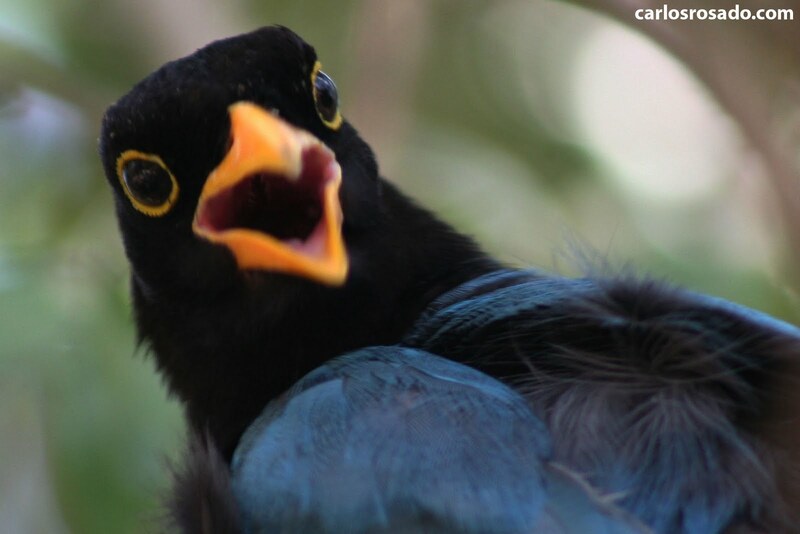 It is possible to follow a Sac-be (mayan road) to the cities Cenote which is teaming with iguanas and birds (such as Cheles & Trogons) just gorgeous! I hope you enjoy the photos!